Are you aware that stretch cords are the leading cause of accidental eye loss each year? It was certainly a surprise to us! 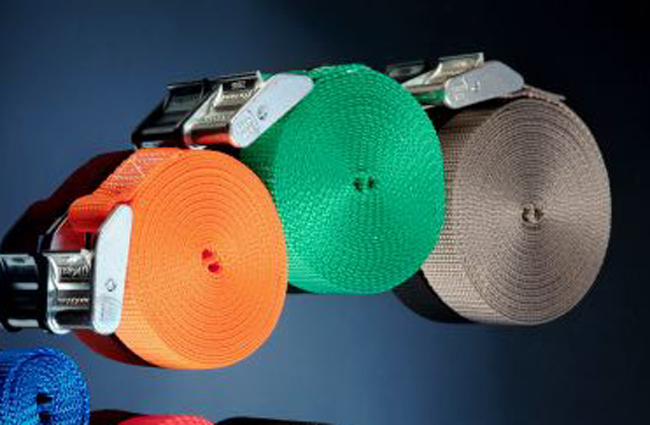 That’s why we sought to develop a superior fastening alternative, and we found that alternative in Tiegrrr Straps. 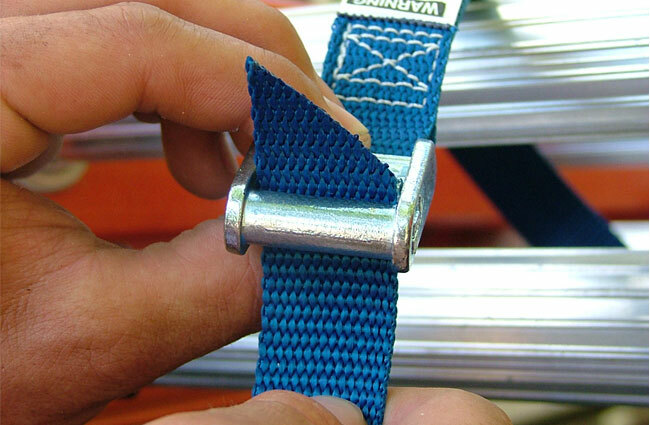 These webbed polypropylene straps are extremely strong (the working load limit is 250 pounds, but the typical breaking strength is more than 1,200 pounds!). 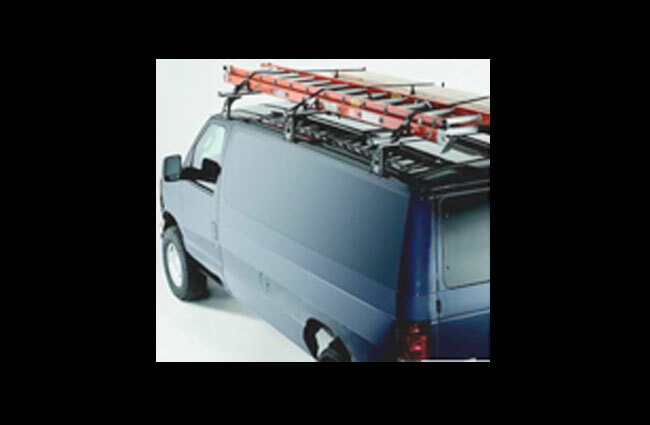 They’re more durable and cost-effective than bungees. And unlike bungees, they don’t stretch like a rubber band when tightened. 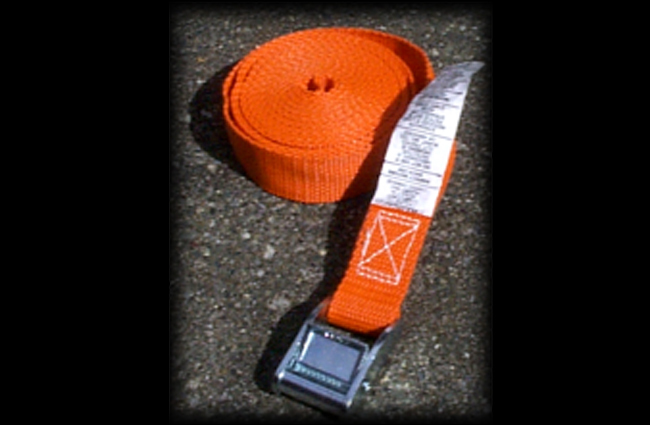 Tiegrrs are quick and easy to use. 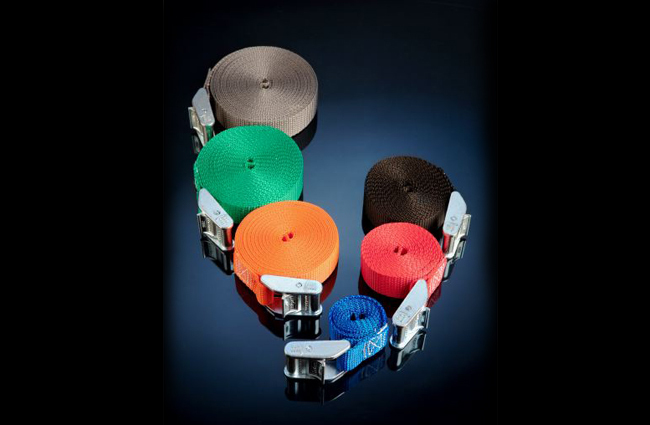 The tapered iron ends make it easy to feed the strap through the solid zinc, rustproof buckle. 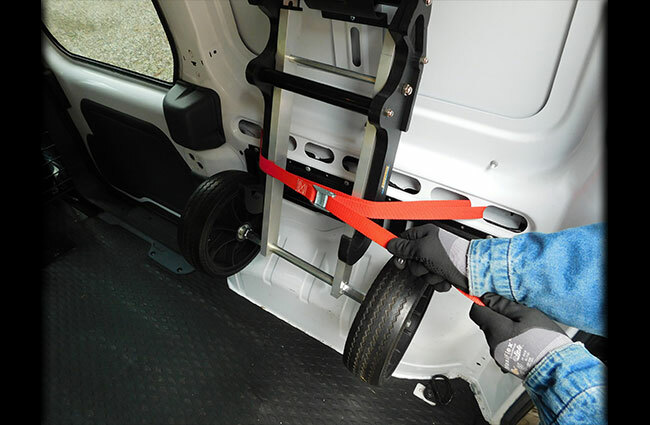 Slip, zip – you’re done!Thanks to their patented locking grip, our Tiegrrr Straps lock tightly and release safely. And best of all, the locking grip does its work without chewing up the strap. 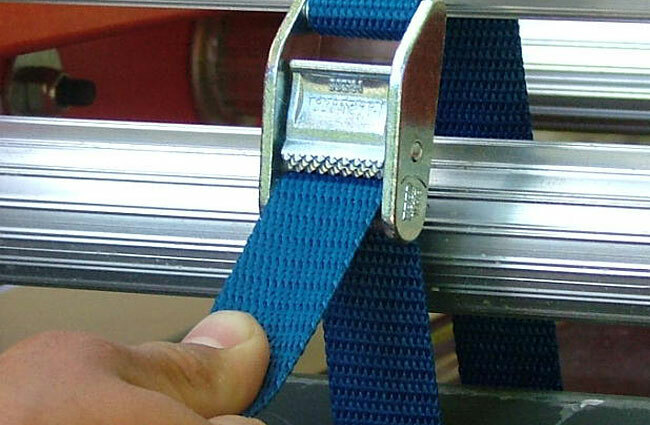 Whether you use them to fasten ladders to your trucks or lash pieces of equipment together, our Tiegrrr Straps will give you years of trouble-free service.Quantity pricing available on request.